A group of state House Democrats hopes the crisis in Flint will help bring attention to other issues they say threaten clean water in Michigan. 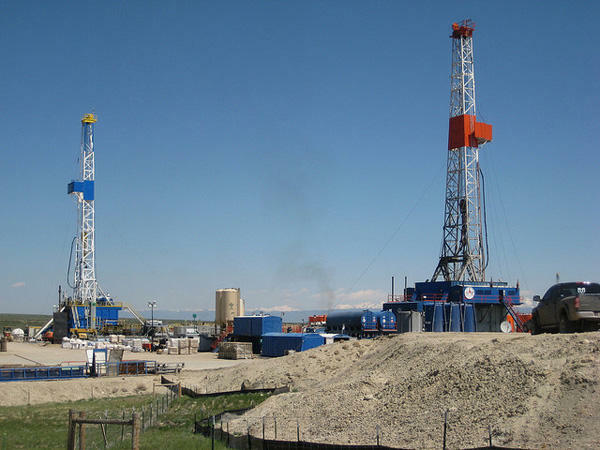 They announced bills on Thursday that would increase regulations on fracking. Democrats say there’s an opportunity to have a serious conversation about fracking and other water quality issues. “Now that there’s a little more attention, this gives us an opportunity to go to our colleagues and say, hey look, here’s another threat, here’s another problem,” said state Rep. Jeff Irwin (D-Ann Arbor). Grand Rapids mayor George Heartwell is calling on Governor Rick Snyder to place a temporary ban on hydraulic fracturing in the state. Heartwell made his comments today during his state of the city address. “Our planet is sick and it is we who have infected it. 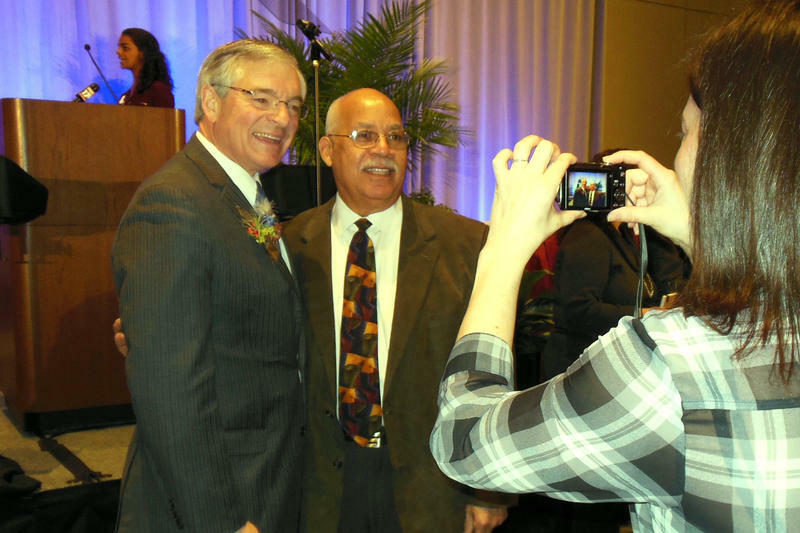 So it must be we who heal it,” Heartwell said to a crowd of at least 300 people. Environmental concerns was one of the major themes of Heartwell’s speech. One Michigan township wants to make special deals with oil and gas drillers. State law does not allow townships to regulate oil and gas drilling. But with all the controversy around fracking, some wish they could. One township in northern lower Michigan is trying to work around that rule and have a voice. There are no active oil or gas wells in Edwards Township, a farming community near West Branch. However, there are some old wells that are capped off. An interview with BBC business reporter Russell Padmore. Horizontal hydraulic fracturing has caused a boom in gas drilling in our state and country, but Michigan and the U.S. are certainly not the only places on the planet dealing with fracking. It's starting to be an issue in Europe, as well. BBC Business reporter Russell Padmore joined us today to talk about how fracking is affecting England, France, Germany, and other countries. An interview with Andy Hoffman and Abrahm Lustgarten. Right now we have abundant supplies of natural gas because of what the U.S. Energy Information administration calls robust inshore production, there is a glut of natural gas and that means cheaper gas. This increased supply is mostly due to hydraulic fracturing - more importantly, a newer way to use the drilling method, horizontal hydraulic fracturing. Horizontal fracking has made it easier and cheaper to extract natural gas and oil from shale deposits in the U.S. and around the globe. Horizontal fracking has meant a boom in gas drilling in the U.S. and it's meant more jobs in certain areas of the country. It’s meant less dependence on foreign sources for energy. And because burning natural gas emits about half the CO2 emissions of coal or oil, it means less of the greenhouse gases that are causing climate change. It also means families can heat their homes more cheaply. But there are also risks and concerns. 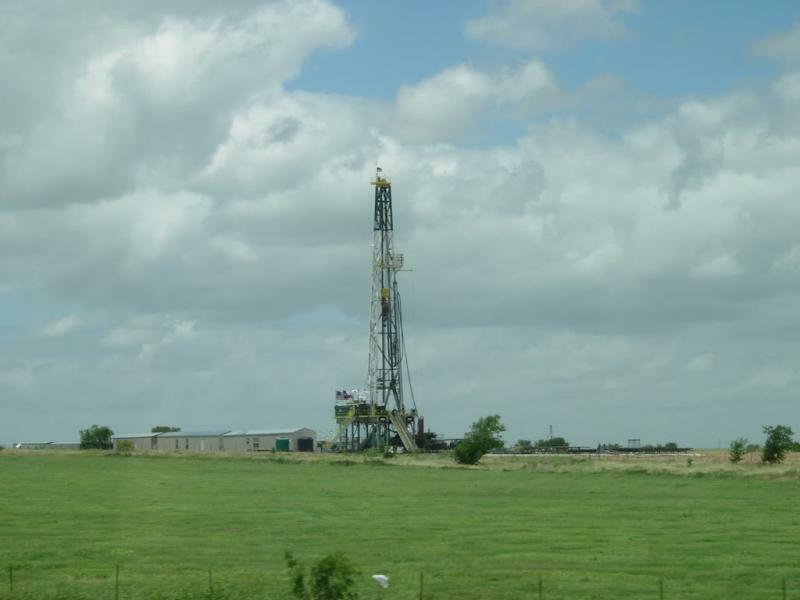 The extraordinary expansion of natural gas extraction through this use of horizontal hydraulic fracturing is causing some real concerns about risks to air and water quality. Andy Hoffman, a professor of sustainable enterprise at the University of Michigan, and Abrahm Lustgarten, a reporter for ProPublica, joined us today. We continued our look at energy in Michigan on the show. Today, it's all about fracking. Horizontal hydraulic fracturing has led to an abundance of natural gas, but it is also raising a lot of concerns, both in the U.S. and Europe. We spoke with Andy Hoffman, Abrahm Lustgarten, and Russell Padmore about the risks. And, you've heard of Benton Harbor and Whirlpool, Battle Creek and Kellogg - we explored "company towns" and what they mean for the Michigan economy. I’m sure you’ll be just shocked, shocked I tell you - to learn record amounts of money were spent with even less accountability for who was spending that money. Rich Robinson with the Michigan Campaign Finance Network joined us in the studio today to discuss the issue. The University of Michigan is undertaking a broad review of the effects of Michigan’s growing natural gas industry. U of M researchers met with environmentalists and industry officials today in Lansing. 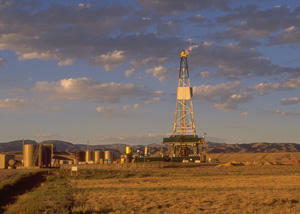 Most natural gas is extracted using a process called hydraulic fracturing, otherwise known as fracking. There are concerns that fracking might cause health and environmental problems. But supporters say fracking is helping boost Michigan’s economy. 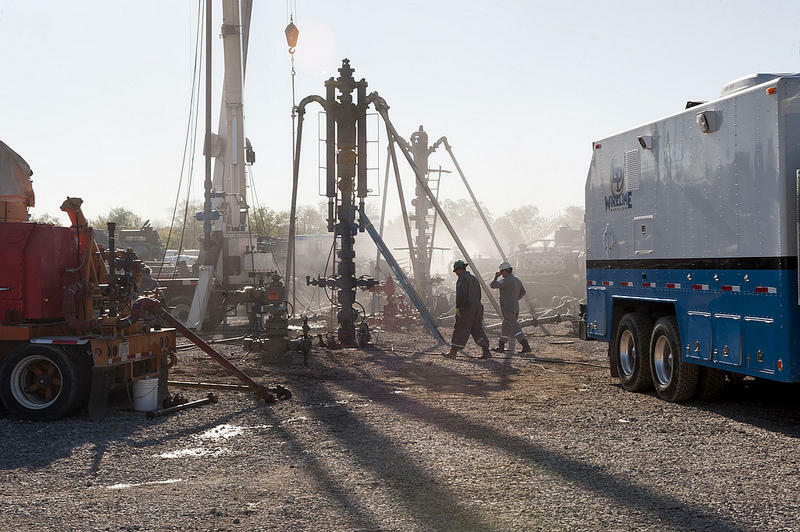 A group that wants to ban hydraulic fracturing in Michigan says the state didn’t follow its own rules in disposing fluid from wells that were fracked. The group, Ban Michigan Fracking, has learned the fluid was spread on public roads close to a lake and in a campground near the Mackinac Bridge last summer. Last summer, the Department of Environmental Quality allowed 40,000 gallons of fluid from fractured wells to be spread on public roads. People who oppose a form of oil and gas drilling known as "fracking" are officially launching a petition drive to ban the practice in Michigan. "Horizontal hydraulic fracturing" uses slant drilling to inject chemicals or water into rocks to fracture them, in order to extract oil or natural gas. LuAnne Kozma is the campaign's director. She says fracking uses toxic chemicals that can contaminate the water. "Another huge concern is this deadly toxic gas called hydrogen sulfide gas, or H2S." A spokesman for a company with exploratory wells in Michigan says the state has some of the most rigorous safety regulations in the nation for fracking. Petition organizers must get more than 322,000 signatures by July 9, to get the issue on the November ballot. People opposed to a natural gas drilling technique called hydraulic fracturing protested outside a state office building in Lansing this morning. 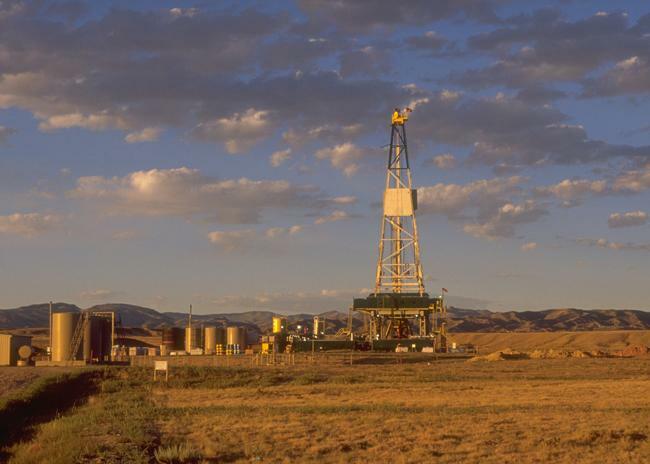 The state is auctioning off oil and gas mineral rights leases for more 100 thousand acres of public land. 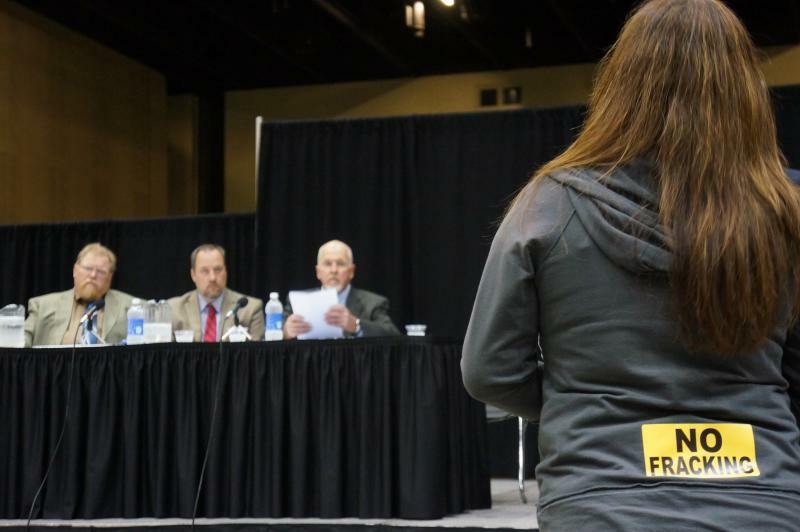 The protesters chanted as energy industry and state government officials entered the building where the auction of oil and gas mineral rights leases was taking place. 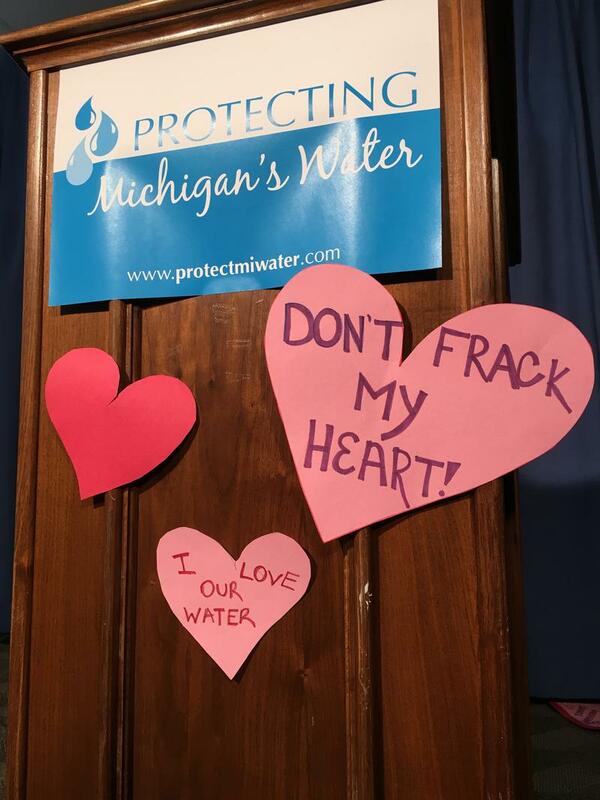 The protesters worry drillers will use horizontal hydraulic fracturing, or fracking, to extract natural gas in Michigan, potentially contaminating drinking water and causing other environmental problems. LuAnne Cozma is an anti-fracking activist. She says state regulations are geared to help the industry, not to protect the people of Michigan. “The gas is drilled…the more gas flows…the more money flows into the (state government) coffers…and that is why we don’t trust the whole process," says Cozma. The protesters are circulating petitions to put an Anti-fracking question on the November ballot.